YAY! 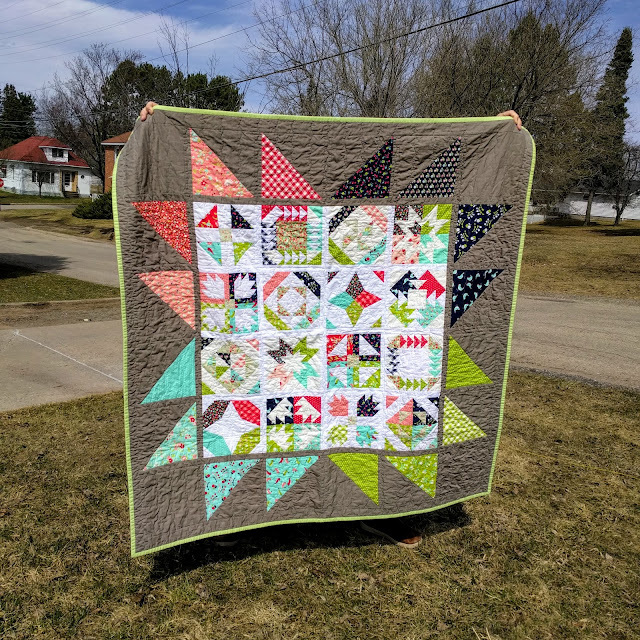 Another project done from my 2016 Finish-A-Long for the second quarter! I'm doing much better than last quarter. Thought I was due for a new bag since my last handmade bag has been in constant use for almost two years! So the Ella Bucket Bag has been on my list to sew for a few months. 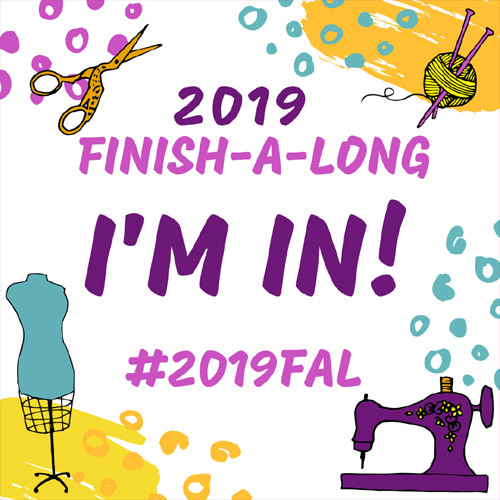 I purchased all of the fabric at my favorite local quilt shop Stitched Studio back in February. 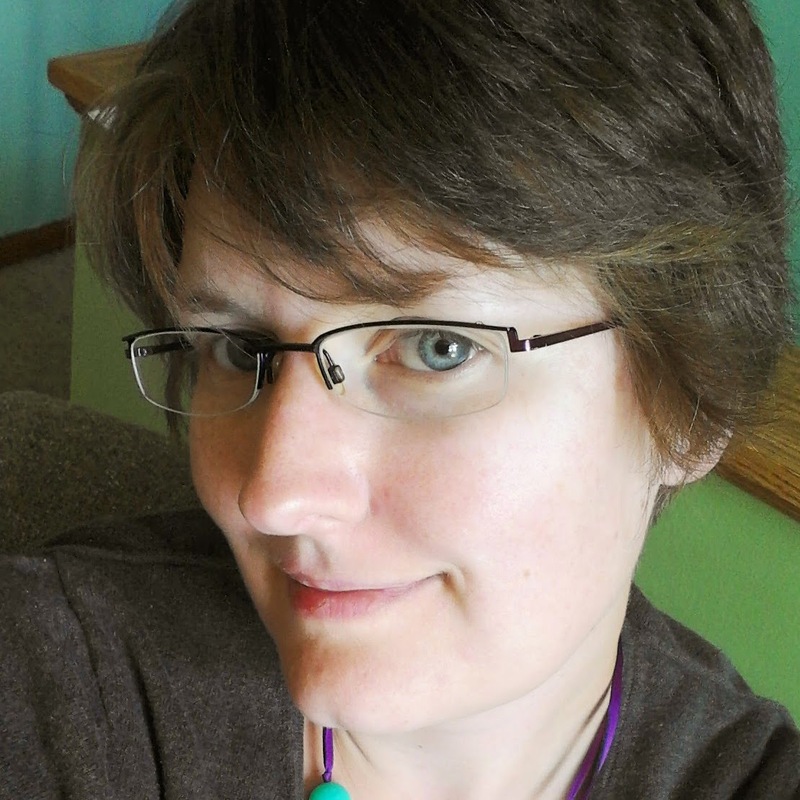 But I have sewer/quilter's ADD and from another project and this one got pushed to the bottom of the pile. 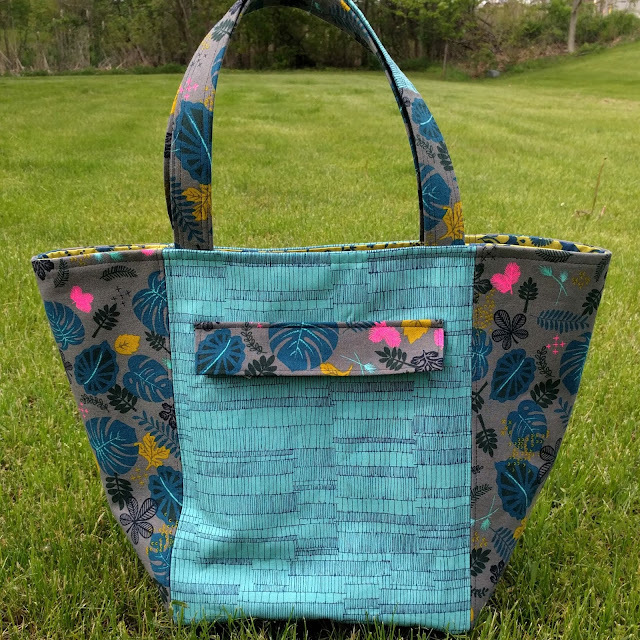 Well this past week I went to a sewing retreat at Stitched Studio and they had a trunk show with Sew Sweetness and Patterns by Annie bags. So when I got home I finally finished cutting out my Ella and started sewing away. This pattern is well written and provides plenty of pictures to help you along the way. 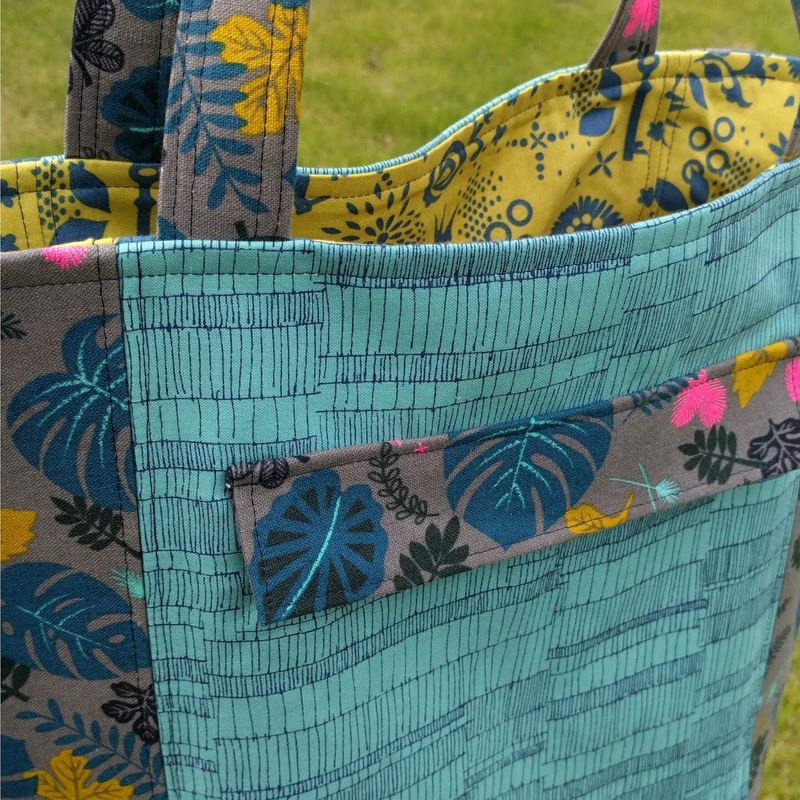 This is actually the first time I have done a bottom piece that was separate from the rest of the bag, and the pattern walks you through the process beautifully! This is going to be my daily tote around bag and it is a nice size that is not too big and not too small. 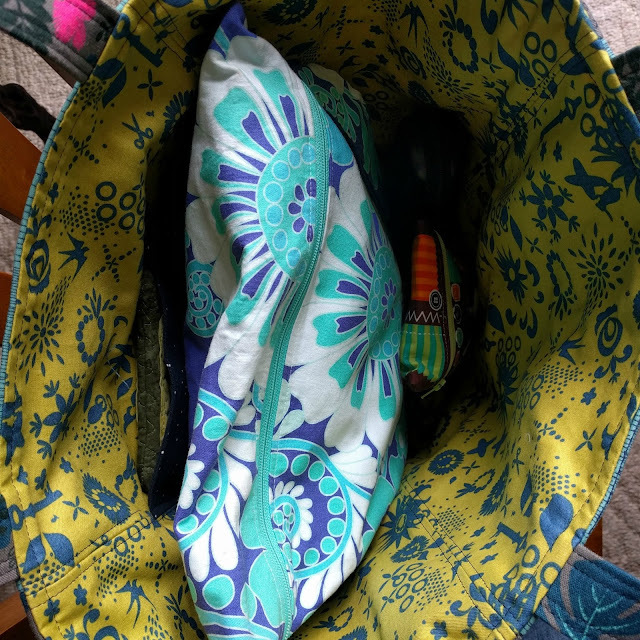 All of my essentials fit along with the essentials for two kiddos with room to spare! I interfaced everything with Pellon SF 101 and then basted a light canvas to the exterior as well. So it has a little bit structure, but still of little flop, just perfect for stuffing this bag full of stuff, which will happen. This is a great pattern and perfect for an advanced beginner looking to expand their skills. Great bag! Such beautiful fabrics! And thanks for the pattern reference! Thanks! 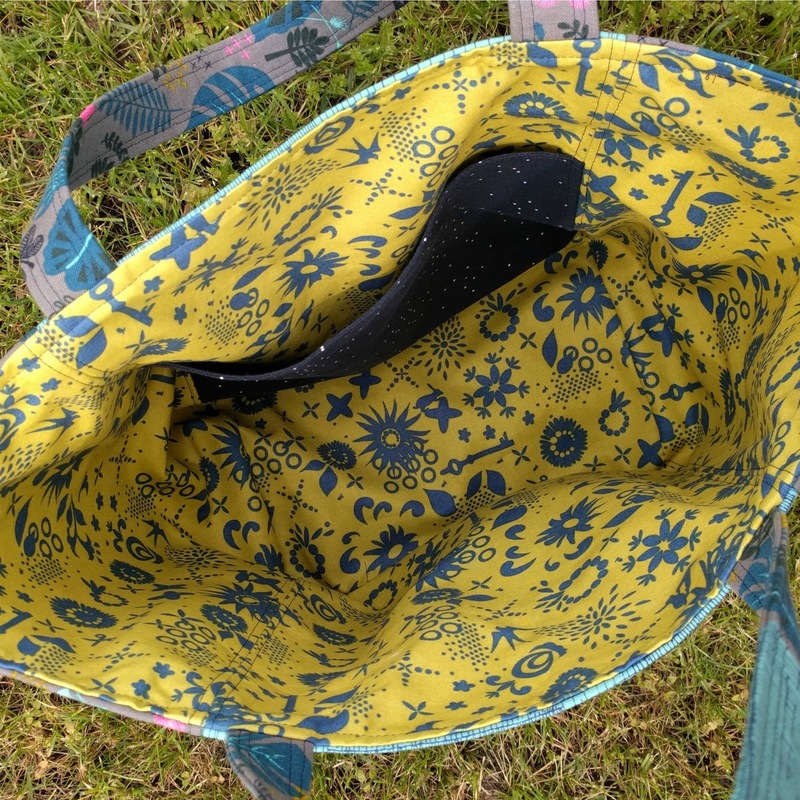 This is a great pattern, makes a very useful tote! That looks like the perfect size for a go-to tote! Congratulations on a super finish. On behalf of the 2016 FAL hosts, we thank you for playing along!